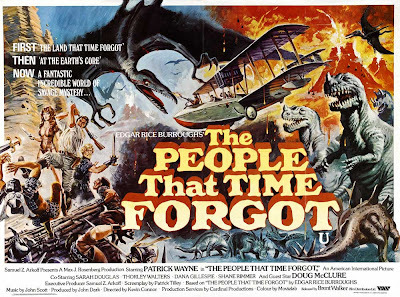 Directed by Kevin O’Connor, this 1977 film starring Doug McClure was a sequel to “The Land That Time Forgot” (1975). Premiered This Day (1979): Planet of Dinsosaurs! Tour The Age of Dinosaurs for 10 Cents!